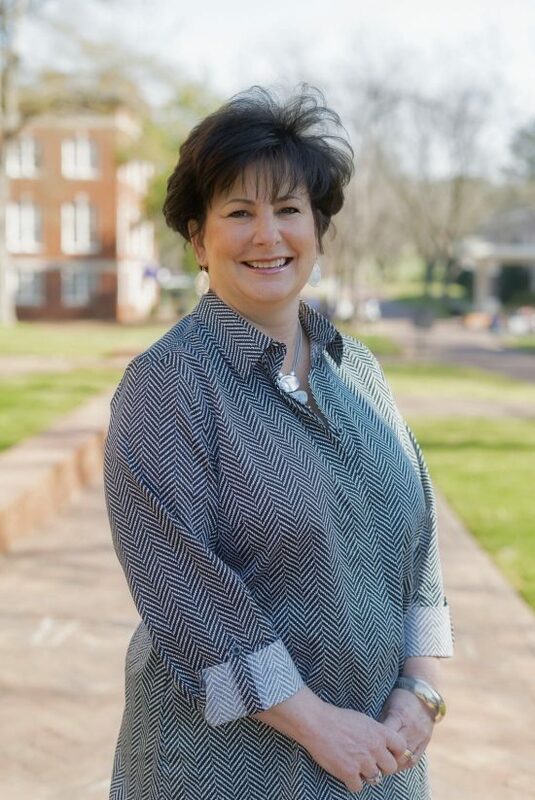 Dr. Donna Bell, assistant professor and program coordinator for Family and Consumer Sciences at UM, began her academic career at the University of Montevallo in the early 1980s pursuing her undergraduate degree. In 2006, Bell returned to campus to teach retail merchandising courses, including visual merchandising, textiles, retail buying and fashion forecasting. While Bell’s primary goal in the classroom is teaching students how her field of study focuses on the science and art of living and working in a complex world, her attention is also given to students across the road at Montevallo High School (MHS). Bell and her colleagues in the College of Education coordinate with MHS a series of mock interviews for MHS seniors. This annual event brings together faculty and staff from across campus to impact the lives of the high school seniors each year and prepare them for future success. “We work with the senior sponsor of Montevallo High School by providing students with approximately 10 general questions that they might be asked during a typical interview,” said Bell. The students arrive professionally dressed for interviews with two faculty or staff members from the University, who then provide written feedback for each student so they can learn and grow from the experience. For some students, it is their first professional interview experience. “It has been wonderful to work with such colleagues on campus that are willing to volunteer their time to invest in these students,” said Bell. In addition to this work, Bell is a member of professional organizations including the American Association of Family and Consumer Sciences (AAFCS) where she has served on the organization’s Alabama Affiliate Executive Board for seven years. She will serve as the Alabama Affiliate president for 2019-2020.